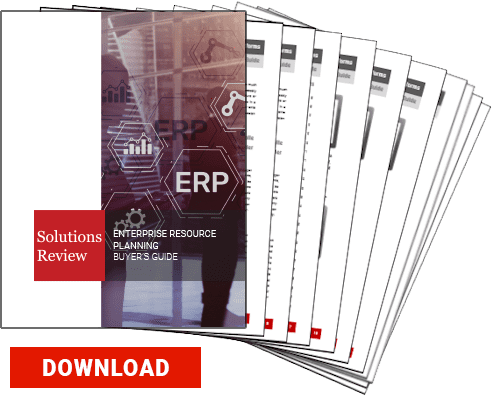 Solutions Review, enterprise technology and business software review site, is proud to release an all new resource for comparing enterprise resource planning (ERP) software for the wholesale distribution industry, the Distribution ERP Buyer’s Guide. Solutions Review has developed this guide to assist buyers in search of the best possible tool to fit the needs of their organization. This resource features 5 important questions to ask during the buying process, key capabilities to be on the lookout for, and full, one-page vendor profiles that provide a solution overview, three key features, contact information and our own ‘Bottom Line’ analysis. Top providers highlighted include: Acumatica, Rootstock Software, SYSPRO, and Epicor. ERP refers to the systems and software packages used by organizations to manage day-to-day business activities, such as accounting, human resources, procurement, customer relationship management (CRM) and so forth. When they first came into the market, ERP systems were primarily designed for inventory management. Today however, these systems have evolved to encompass a lot of other back and front office operations. Here are Common Distribution Challenges You Can Defeat With An ERP Solution. ERP software focuses on streamlining business processes by enabling seamless communication and coordination between each separated department of an organization. ERP systems can facilitate the connections between supply chain management and inventory monitoring, or between and organization and its customers. In this way, ERP systems tie together and define a plethora of business processes to enable the flow of data between them. By collecting an organization’s shared transactional data from multiple sources, ERP systems eliminate data duplication and provide data integrity with a “single source of truth.” Read the 5 Reasons to Purchase an ERP System. Digitize Self-Service: It can inform customers on what’s available and what’s out of stock. It can help with product suggestions based on purchase or browsing history. Customers can get regular updates on how far away they are from receiving the product. It helps customers with all details pertaining to their purchases. This not only reduces operational costs but also adds credibility to your business. Eliminate Data Redundancy and Errors: Data repetition and errors are a common sight when you use different software to deal with such data. With an ERP integrated to your business, you can get rid of such inefficiencies and manage your business better. Increased Revenue Growth: Since an ERP is integrated with your business, most of your sales and revenue data are readily available and are updated in real-time. With this information, you can get a deep understanding of business revenue. You will be in a better position to identify and manage cost variances. You will also be able to allocate financial, human, and operational resources better. This will eventually lead to rewarding outcomes such as an upward revenue growth, business expansions, better-paid employees, etc. Download the latest Distribution ERP Buyer’s Guide. Solutions Review is a collection of technology news sites that aggregates, curates, and creates the best content within leading technology categories. Solutions Review’s mission is to connect buyers of enterprise technology with the best solution sellers. Over the past four years, Solutions Review has launched more than ten technology buyer’s guide sites in categories ranging from cybersecurity to wireless 802.11, as well as mobility management, business intelligence and data analytics, data integration, business process management, ERP, and cloud platforms. 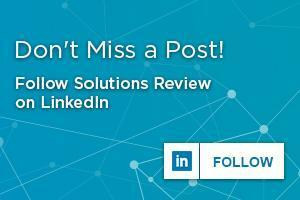 Don’t forget to follow us on Twitter, LinkedIn and Facebook for all the latest in Work Tech!